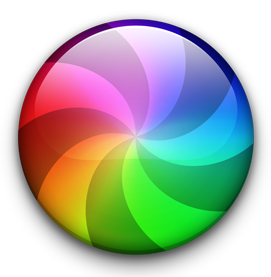 Now I’ve been uber-charitable about Apple and their MacOS, but yesterday and today I was introduced to the Spinning Beachball of Death which froze me out of doing anything on my iMac whilst I trawled the internet (on another machine) trying to find out what could be wrong. I’d not left the machine on, in sleep mode, and yet it just crawled through boot and sign-in until it basically gave up the ghost when it got to the Desktop. What could it be? Obviously it was probably a hardware problem … wasn’t it? Well a bit of Cmd + R work, running disk utility showed everything was in fine fettle, many re-boots later things seemed to be improving, but not all was right. What could it be? Try logging-in to another account on the same machine I thought. Well I had one, but it wasn’t an Admin account, but it was worth a try. This seemed to be much better so I was now thinking about Corruption of the User Profile and the need to Restore from a Time Machine backup … maybe. But then, out of the blue, all seemed to be well again … until this morning, when the SBOD returned. This time I knew it was likely to be something to do with my User Profile, so I setup a new Admin account once I managed to get to the screen that allowed me to do that. Logged out, and then logged into the new account and, as I hoped, the login screamed through. I set up the machine and right at the end I was told that my Paragon NTFS for Mac (which allows me to read Windows files) needed to be updated as it was not optimal for my version of MacOS (High Sierra, 10.13.6). The penny dropped! This software wasn’t installed on my MacBook Pro. This piece of software was interfering with Finder on the iMac in some way to slow everything down. Quickly into System Preferences then, disable the NTFS for Mac driver, and re-boot. All seems to be well. Some hard lessons learnt and a lot of time wasted. Make sure you have an up-to-date backup … just in case; I did, so that was my last option, and I’d have been OK … I think!